Ukrainian League 2015/16. 20th round. Compared to the previous match, Shakhtar could count on the players who have returned from international duty. We want to note that Mircea Lucescu has deployed the same pair of central defenders that he did in the clash with Vorskla – Serhiy Kryvtsov and Ivan Ordets. The Pitmen got off to a very active start, creating the first danger as early as on 5 minutes: Marlos received a pass from Darijo Srna, curled it only to see his attempt shatter the crossbar. After the following attacking move, the Donetsk team opened the scoring. 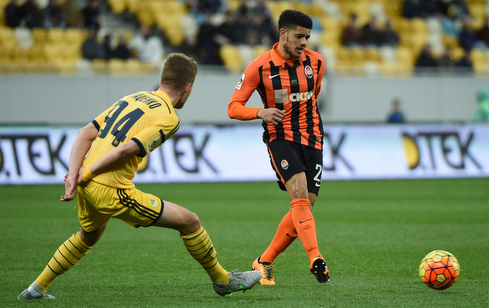 Marlos found Taison with a great delivery in the opposing penalty area, with number beating Yevhen Zubeiko and sending the ball into the back of the goal to make it 1-0. After scoring a goal, Shakhtar continued to threaten near the opposing box, but the very first counterattack by Kharkiv was fruitful: Eduard Sobol made a delivery into the penalty area, with Volodymyr Pryiomov feeding Illya Kornev, who fired it just below the bar. On 27 minutes, the Orange-Blacks got in front again, after playing a free kick, Ismaily shot from some 22 metres, with the ball taking deflection off Yevhen Zubeyko’s leg to hit the back of the net. In the next attack, the Pitmen’s captain cut it out just onto Facundo Ferreyra’s head, who scored from close range to make it 3-1. The second half of the meeting began for Shakhtar with a double substitution: instead of Victor Kovalenko and Taras Stepanenko, Bernard and Dentinho came on. And then, within five minutes, two goals were scored by Taison: in the first case, one of the heroes of the match took advantage of a Ferreyra precision shot and later grabbed a hat-trick after being assisted by Marlos. The goal galore continued on 67 minutes, when Marlos finished off a quick 4-on-2 attacking move of his team. We would also note Eduardo replacing Srna midway through the second half, with Dentinho moving to the right of defensive third. The Brazilian Croat traditionally operated as Mircea Lucescu’s ace up the sleeve, converting a pass byFerreyra to make it 7-1. In the current season, it was the Pitmen’s 100th goal in competitive games. Bernard sealed the win. 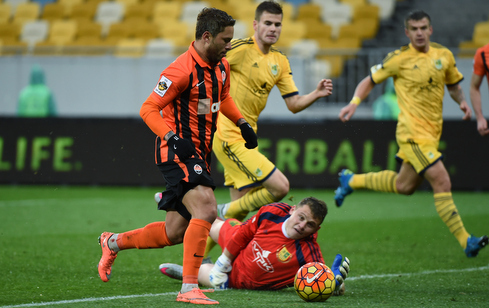 Assisted by Marlos, he scored from close range vs Metalist. 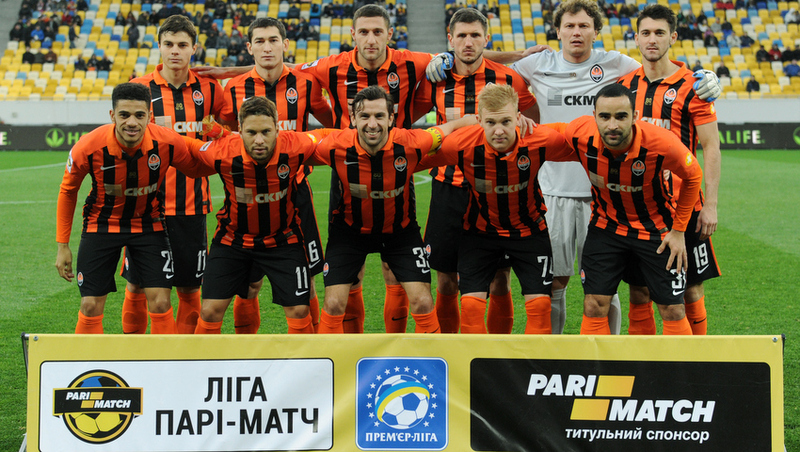 Shakhtar will play their next game on April 7 against Braga, Portugal in the Europa League.